The US-American George H. Whipple examined the pernicious anaemia, a malignant anaemia in dogs. He discovered in the early 1920s that feeding raw liver could save the lives of animals. Six years later, the two doctors Georg R. Minot and William P. Murphy tried to find the active substances contained in the liver. Together with Whipple, they were awarded the Nobel Prize in Medicine in 1934 for their discoveries. However, the isolation of vitamin B12 proved to be difficult and only succeeded in crystalline form much later. Both an American and a British research team were successful on this point in 1948. The molecular structure of vitamin B12 was investigated in 1955 by biochemist Dorothy C. Hodgkin, who was awarded the Nobel Prize in Chemistry for her work in 1964. In 1972 Robert B. Woodward and Albert Eschenmoser achieved success in the total synthesis of vitamin B12. 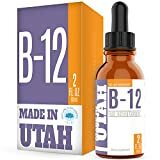 The motivation for the discovery and research of vitamin B12 was from the beginning to use the substance for the promotion of health and the healing of diseases. Even today, vitamin B12 is considered vital and must be taken in through food or dietary supplements. Whereas in the past it was difficult to isolate the substance, today vitamin B12 is contained in various preparations. They can be solid tablets, effervescent tablets or a powder.